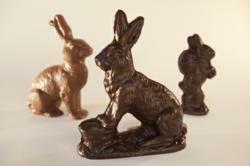 Easter marks the return of the "Rare Hare" - the chocolate Easter bunnies and candies made from the famous antique Gruning's candy molds available only at Three Tarts. 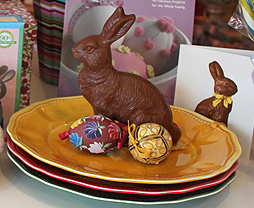 Named a "top ten dessert destination in New York" by TimeOut New York Magazine, Three Tarts makes a very limited quantity of these special Easter chocolates once a year and these special chocolates are not made anywhere else in the world. We are grateful to have the opportunity to bring back a sweet bit of local history. Thank you, Grandpa Gruning! 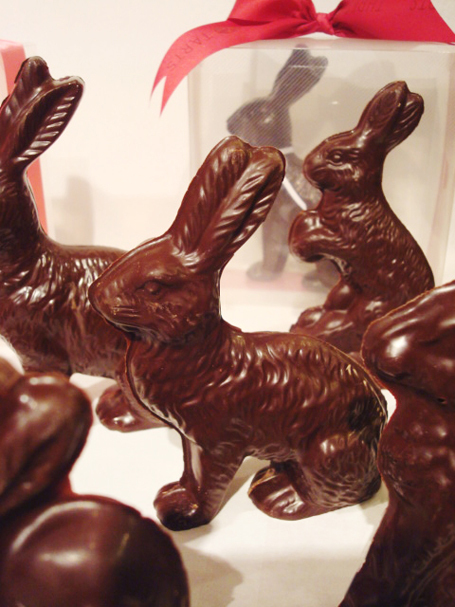 Easter is quickly approaching and chocolate lovers are chasing one of the rarest specialty candy creations in all of New York. Three Tarts Bakery & Boutique - whose treats have been featured on Good Morning America and The TODAY Show - announced the return of their house-made limited edition chocolate Easter bunnies from a blend of the finest European chocolates, using heirloom molds on loan to Three Tarts by Gruning's Ice Cream and Candy Company. 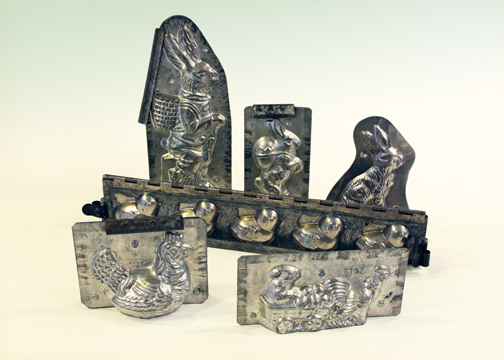 These special chocolate Easter bunnies and candies from these antique candy molds are not found anywhere else in the world. Gruning’s Ice Cream and Candy Company was a family run chain and local institution from 1910-1987 serving central New Jersey and New York City.. The chocolate molds on loan to Three Tarts were brought over from Germany by Grandpa Gruning’s father at the turn of the century. They have stayed in the family ever since, and were the only items kept when the Gruning’s chain was sold. "We are grateful to have the opportunity to bring back a sweet bit of local history. Thank you, Grandpa Gruning! ", said Three Tarts owner Marla D'Urso. 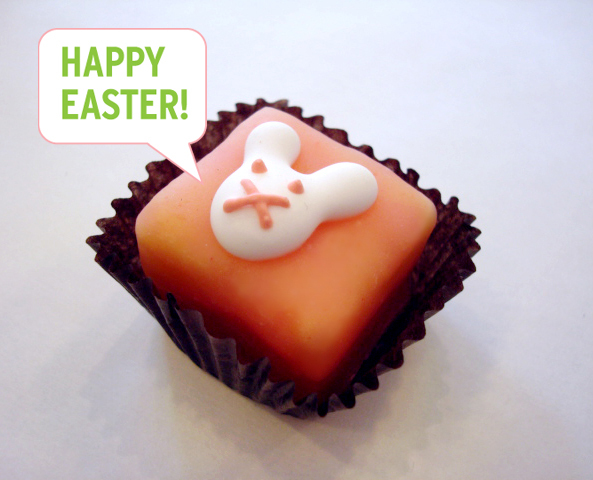 Three Tarts has numerous Easter treats including their house-made marshmallow peeps, customized Easter baskets, Spring petits fours, chocolate peanut butter eggs, chocolate covered candied almonds, Spring cornets filled with truffles, coconut covered marshmallow bunny heads, and flower shaped “lovelies” cookies. Three Tarts Bakery & Boutique - the famous marshmallow makers whose treats have appeared on The TODAY Show, ABC's Good Morning America, The Chew, and New York Live - is located at 164 Ninth Avenue in New York City and can be found online at ThreeTarts.com as well as on Facebook.com/ThreeTarts and Twitter @ThreeTartsNYC.